Using stucco on the interior and exterior of your home or business provides a low maintenance, durable option that is ideal for remodeling/restoration projects. Our team works with precision and care from beginning to end with your complete satisfaction in mind. With North Florida’s warm, moist climate, it’s imperative to go with a skilled stucco expert that has experience with applying or repairing stucco to prevent mold and water absorption. 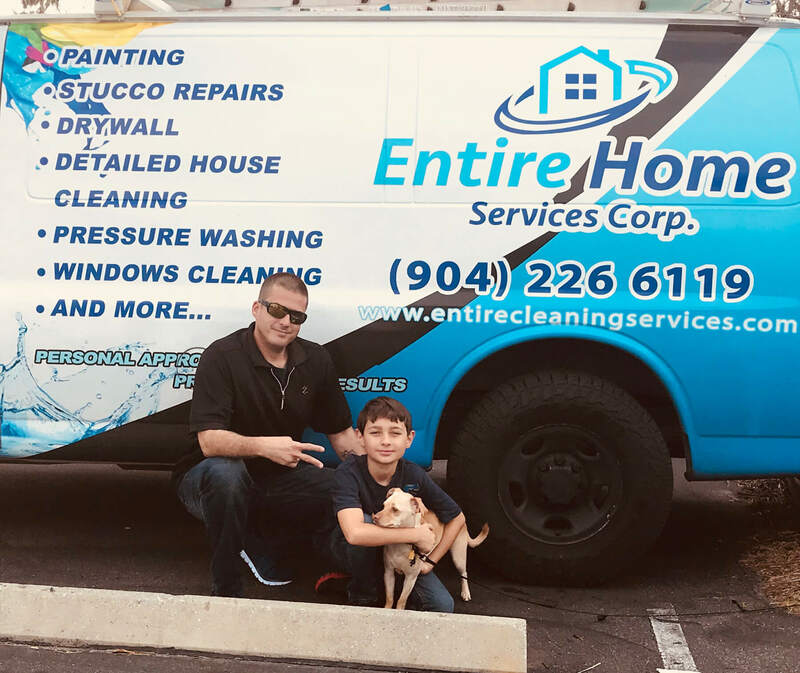 We are a local team who has been servicing Jacksonville and the surrounding areas since 2003, and we understand the special details to ensure durability and overall aesthetic appeal. Exterior stucco jobs need regular inspection and maintenance to ensure upkeep, aesthetics and to prevent damages that can result from constant exposure to the elements. Stucco application and repairs require the trained eye of a professional, and Entire Cleaning Services is confident in our workmanship. Our happy customers are our testimony! Skilled with a diverse range of styles and application techniques. We offer lathe, plastering, fireproofing & sandblasting services. Licensed & insured technicians with years of experience. Regular stucco maintenance available to improve longevity & save you money.